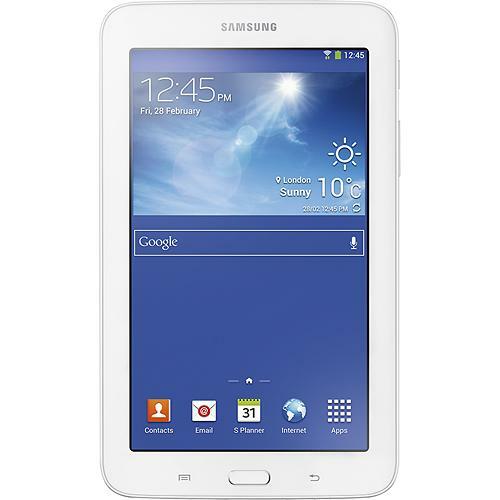 The rumored Samsung Galaxy Tab 3 Lite is now available in the US. A number of stores including Newegg, Staples, and Best Buy are selling this tablet for $160. Yes, $160. Apparently I was wrong to expect that this tablet would cost $99 or $119; when I bought and reviewed the Samsung Galaxy Tab 3 7.0, I lucked into a sale. That tablet has since gone back up to $179. The Galaxy Tab 3 Lite has a few details in common with the Galaxy Tab 3 7.0, but in general it uses cheaper components. This tablet has the same amount of storage (8GB), a microSD card slot, Wifi, Bluetooth, but that's about all it has in common with its expensive cousin. The screen resolution is the same (1024 x 600), but the Lite tablet has a lower quality TN screen and not the higher quality screen found on the Galaxy Tab 3 7.0. This tablet has a 1.2GHz dual-core Marvell CPU, and not an Exynos CPU. Samsung also shaved cost by dropping one of the 2 speakers found on the Galaxy Tab 3 7.0, and they scaled back on the cameras. The Lite model has only a single camera (2MP rear camera) rather than the 3.1MP and 1.3MP camera found on the Galaxy Tab 3 7.0. 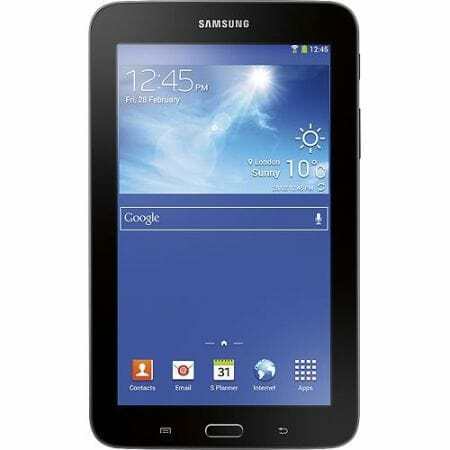 In terms of software, Samsung ships the Lite model with Android 4.2, which is slightly newer than the Android 4.1 found on the Galaxy Tab 3 7.0. Samsung is notorious for not updating their mobile devices, so there's probably no chance that either tablet will ever run Kitkat (not without a 3rd party firmware, in any case). Neither tablet presents a good value, but I suppose that Samsung will still sell a few units. But I wouldn't buy one. I've found tablets with $99 price tags that were a better value - the HP Mesquite, for example. That tablet had an impressive battery life, decent construction, and is my choice for the sub-$99 market. I found the Samsung Galaxy Tab 3 to be a very pretty tablet that was flaky and unstable, and performed poorly. I couldn't justify recommending the tablet when it cost $139, and that goes double now that it costs $179.